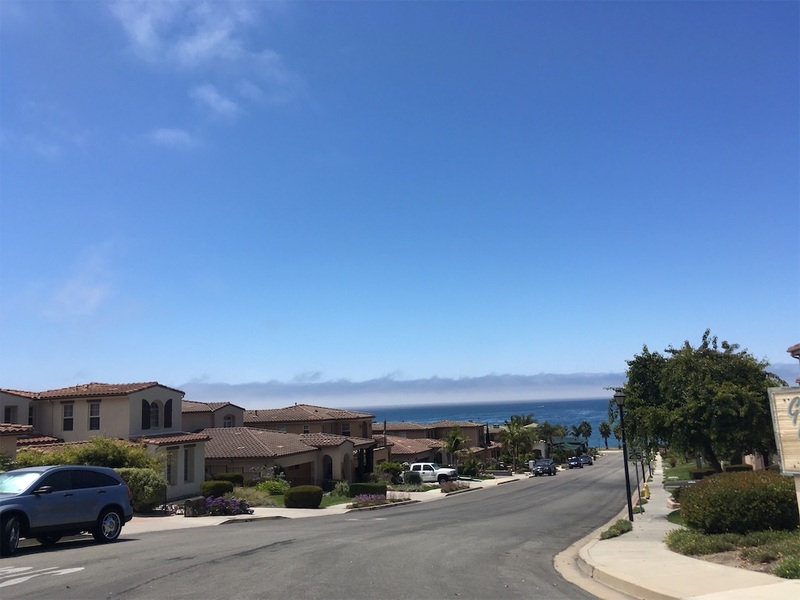 Pismo Beach was beautiful, but it seems that I'm starting to get enough with the ocean view, so I took a detour to inland. 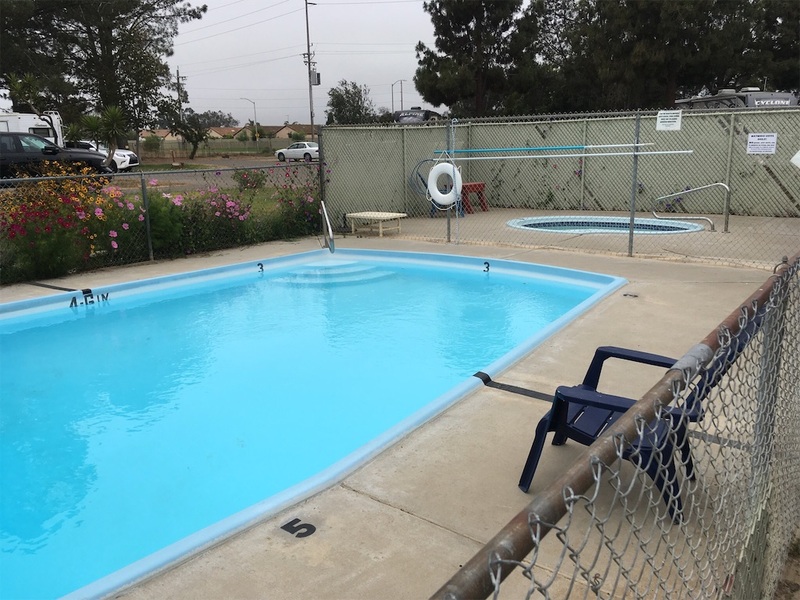 There is no where to stay for many miles, so I made it a short day and stayed at a RV campground in Santa Maria. They had a swimming pool and a hot tub! Yay! The bike route mostly overlaps the Missionaries route from San Diego to San Francisco. 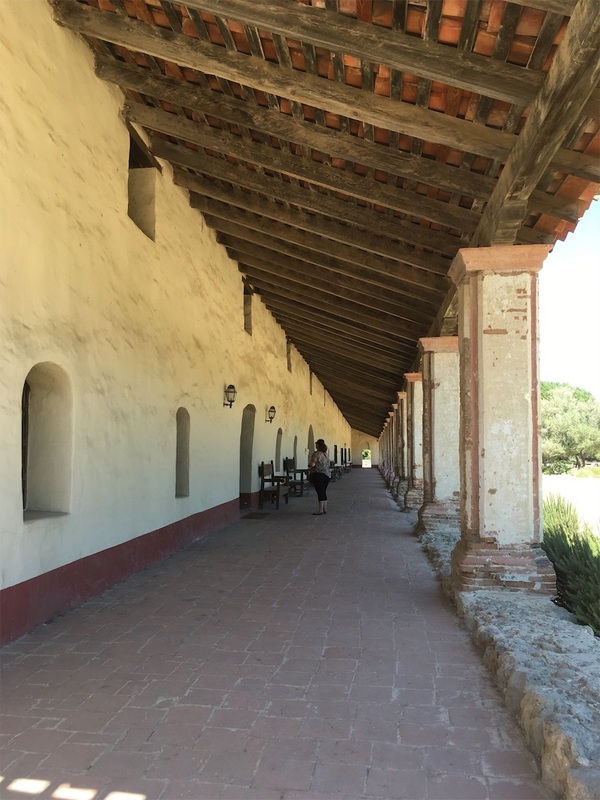 I heard that the Mission in Lompoc was the most historically restored among all, so I decided to go there. 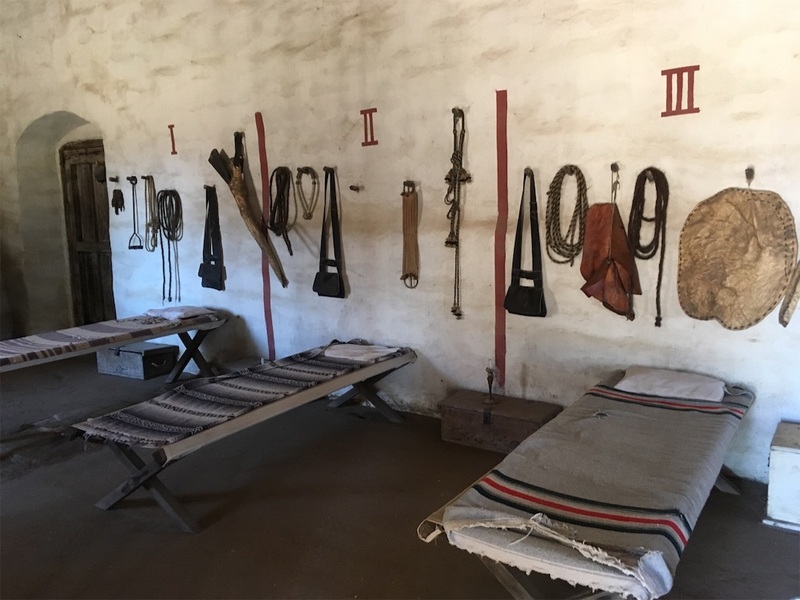 They had a very interesting Mission Museum, and there I got to know about the Chumash Indians, who has lived here for centuries until the Missionaries came. 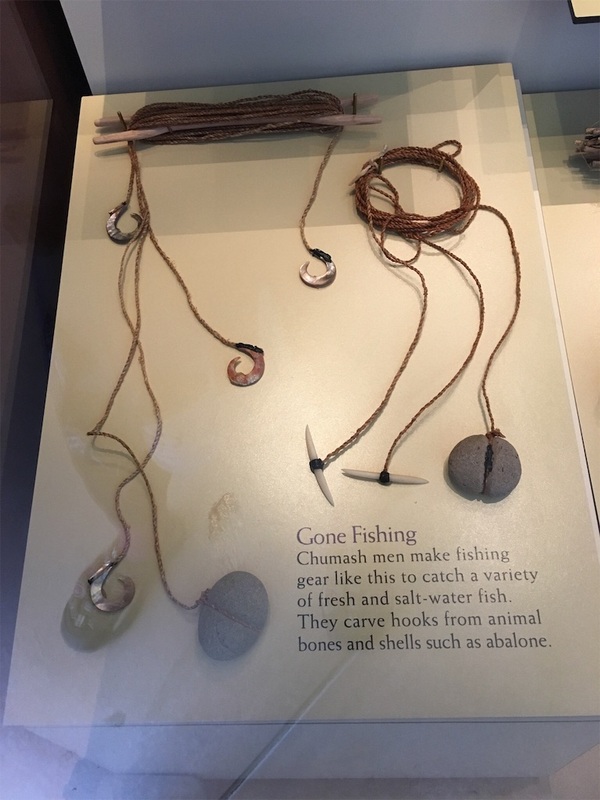 As like the other Native people, the Chumash also had a very high developed culture and skills to live with the nature, and that always blows my mind. 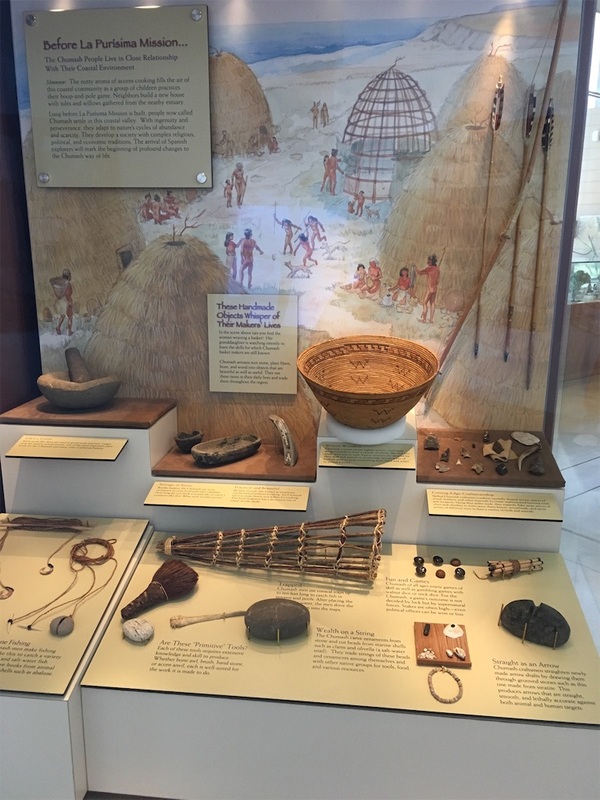 Can you imagine how to make a stone tool only using other stones, or to make thousands of tiny beads out of shells, or baskets which were tightly sealed enough to carry water? The Mission itself was also very interesting. 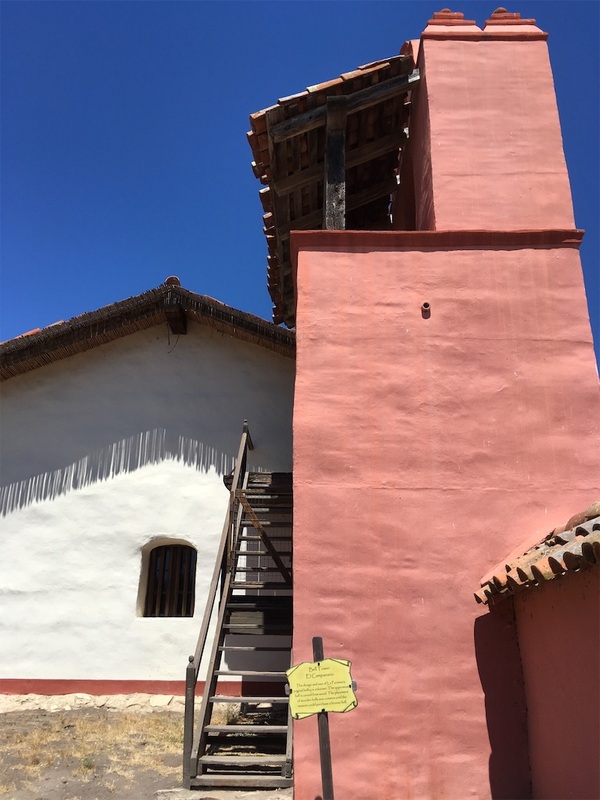 They rebuilt it almost the same way they had first made, using only natural materials such as adobe bricks and plaster for the wall, red clay tiles for the roof, and cow hides to tie up the pillar. I wanted to meet the Chumash people, though I knew that not many people still live in a traditional way. 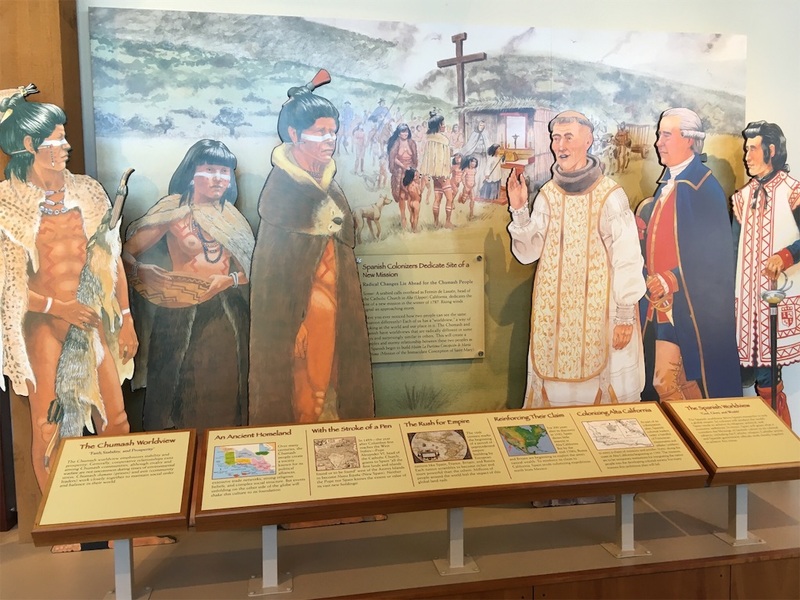 The man in the museum told me that there is a Chumash reservation area near Solvang. 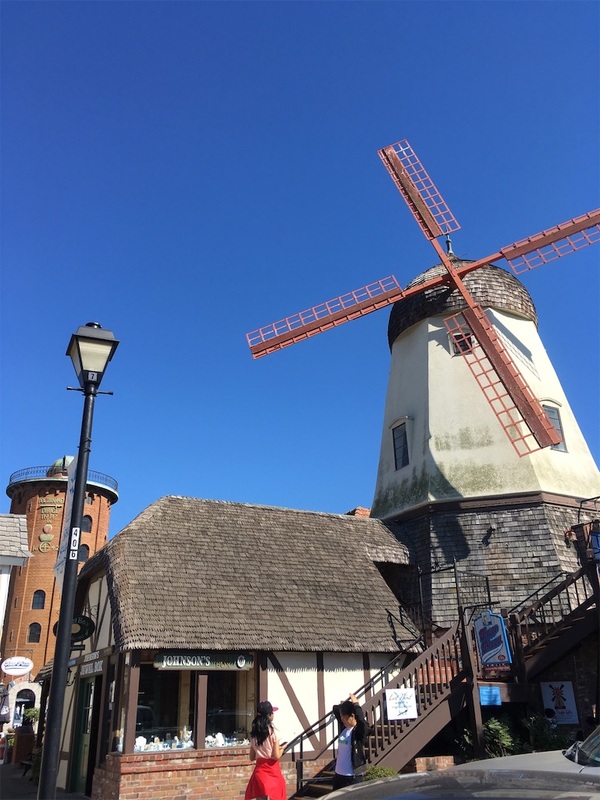 Solvang was the cute Danish town that Tom and Michelle told me about. It was pretty much a detour, but I decided to go. 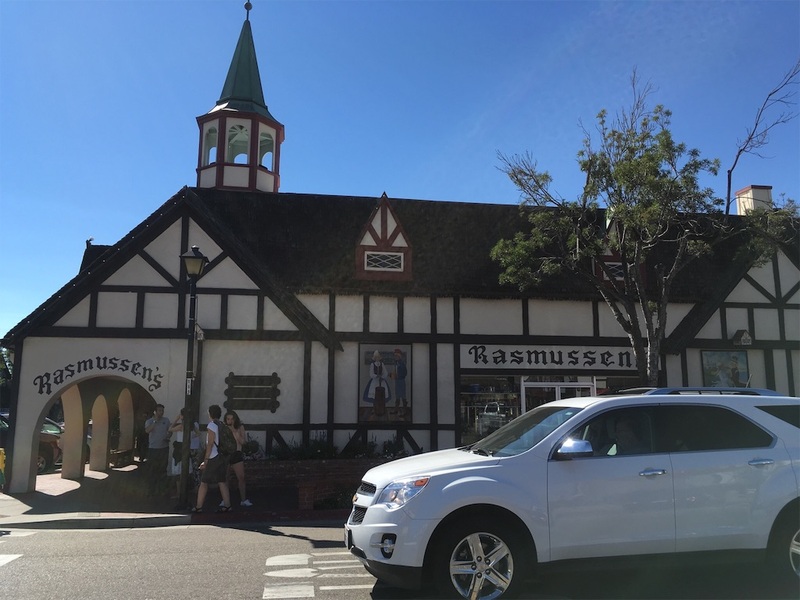 Solvang was surely a Danish town. They had so many Danish pastry shops and wine shops. I was happy with the cute town and was on the way to the sea, when I remembered to visit the Chumash people. It was also starting to get dark, but I decided to hit back the way and go to see them, even I had no idea. 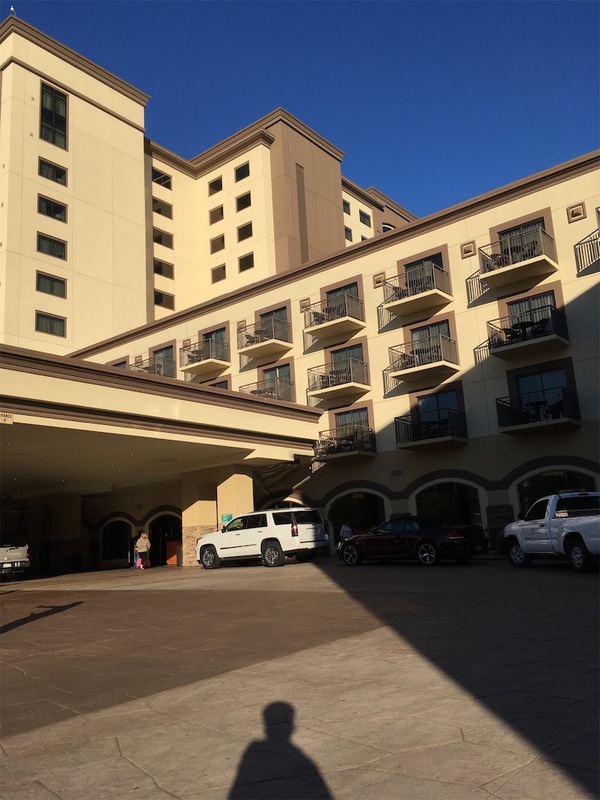 I first went to the Chumash casino. 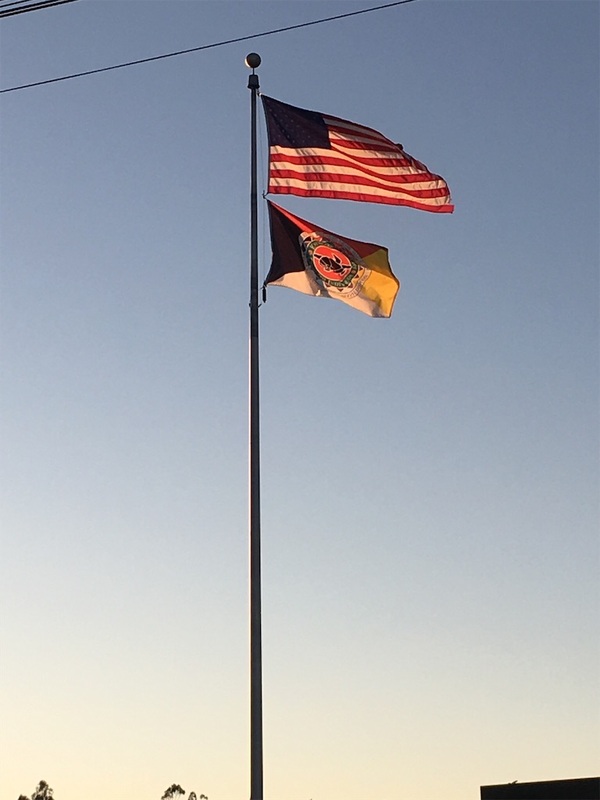 It seems odd, but it is quite common to have a casino in the Native American reservation area, as they don't have regulations there. I was completely out of place on my bike, and I looked around but none of the workers seemed to be Chumash. I asked one of the workers and she told me that there are very few Chumash people who work here. 2000 people work here but Chumash population is only 300. She told me the way to the reservation area. The reservation area just looked like normal American houses--a huge house with a big yard and a swimming pool. I was totally a stranger, wondering among the houses, and getting barked by many dogs. 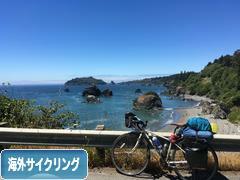 One woman just came back home, and I was able to talk with her. I explained how I got to know this place and how I'm interested in all the indigenous people's culture. Her name is Lisa, and is a half Chumash half Mexican woman. She told me that all of the people who live here are related from a woman named Mary, so they are far relatives. They mostly live in an American lifestyle, but have some traditions remained. For example, when someone dies, they paint a stick beautifully and hike up together to the top of Mt figaro and stick it there for a year.This hill is one of the three pyramids that makes a triangle which indicates the constellations. I was glad to hear that they are also learning skills such as basket weaving and making rattles, or holding gatherings. 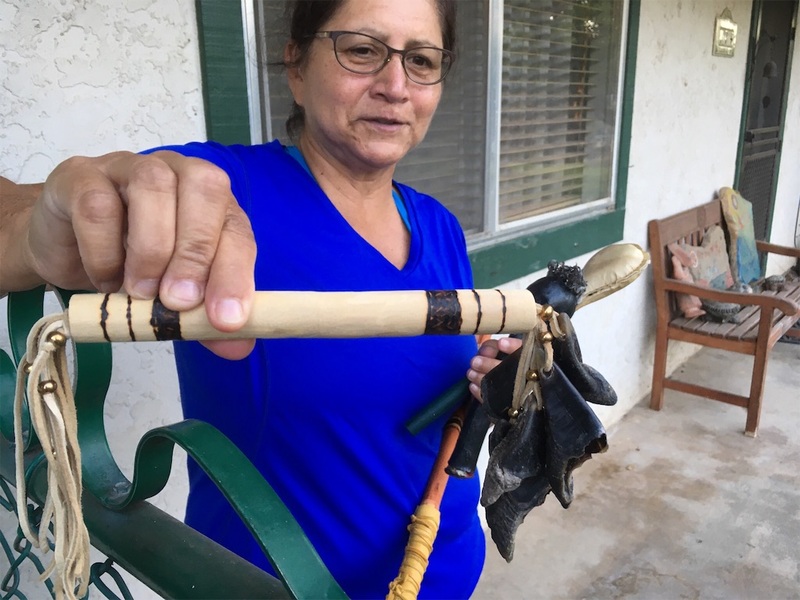 Furthermore, Mary knew how to speak Chumash language, and an anthropologist made a dictionary, so now the Chumash are learning to restore their own language. Lisa said they are going to build a museum next year. She told me that I should have came next year, but I'm glad I did this detour, and get to know about them.